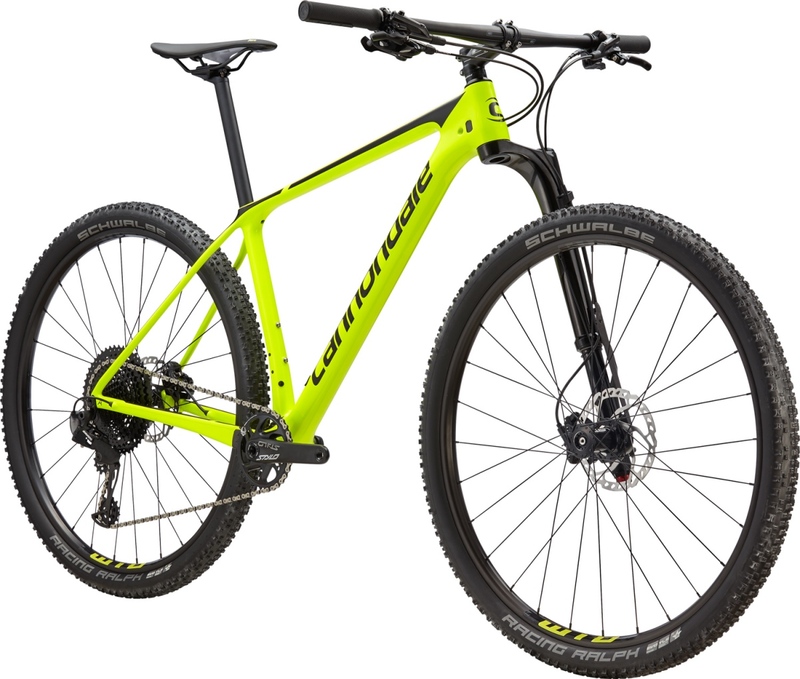 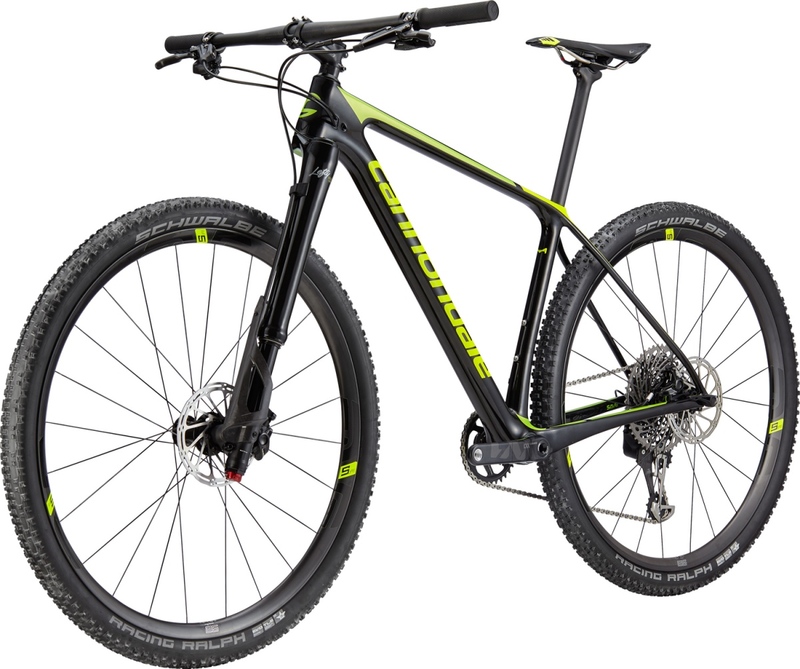 When the Cannondale Factory Racing Team saddles up for one of the toughest courses on the cross country World Cup circuit in Albstadt, Germany, this weekend they’ll have two new aces up their sleeves: the new F-Si hardtail and the Lefty Ocho ultralight XC fork. 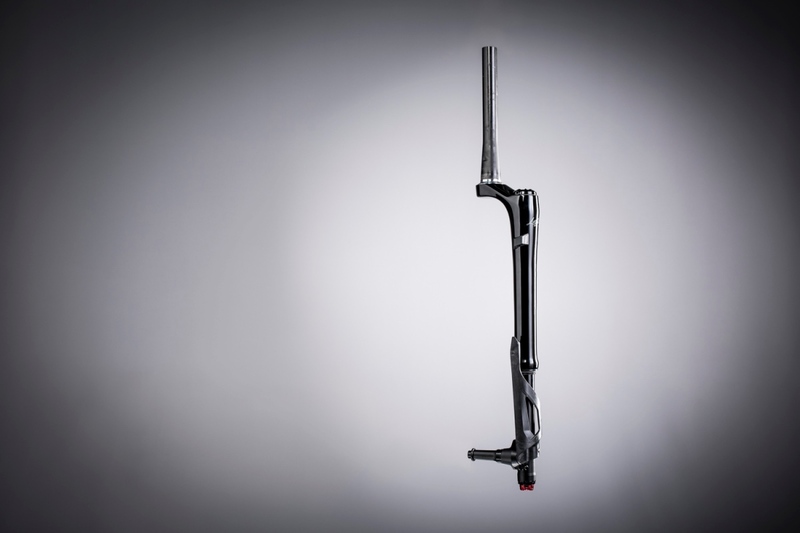 Introduced in 2015, the original F-Si was unique among XC hardtails, geared toward handling the challenging new courses of the World Cup. For the new F-Si, Cannondale has taken everything that made the original bike a class leader, like OutFront geometry and the agile Ai rear triangle, and pushed it harder and further. 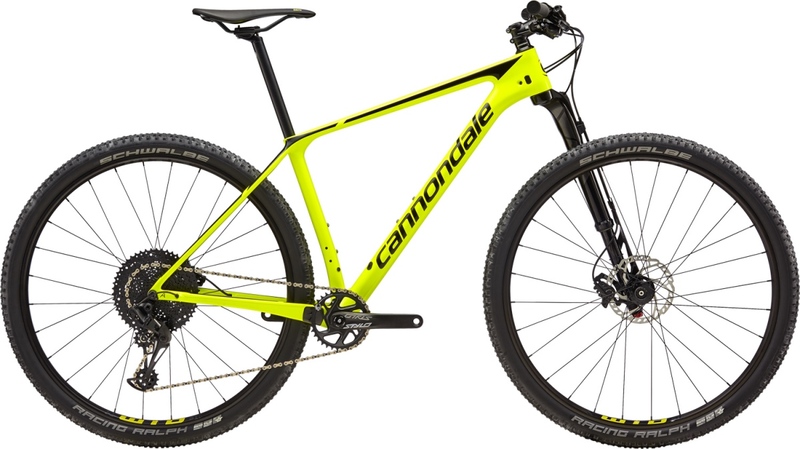 The new F-Si is lighter, smoother, more capable and flat-out faster than any other XC race hardtail Cannondale has made. 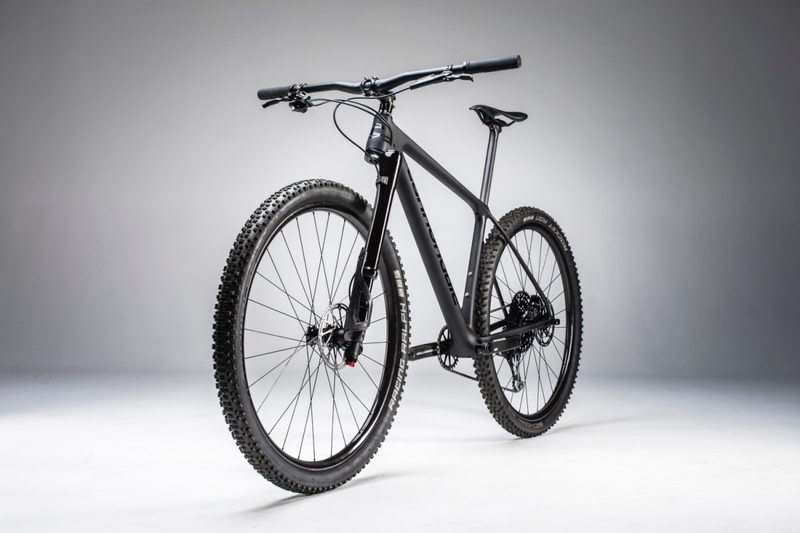 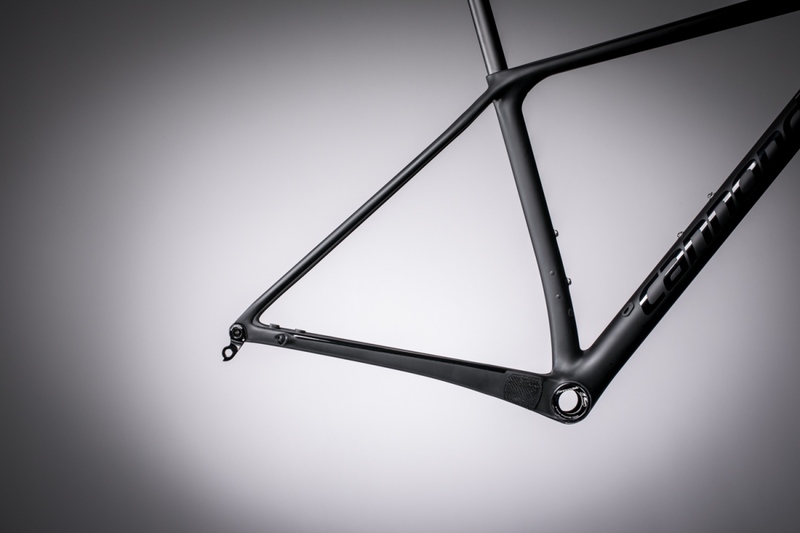 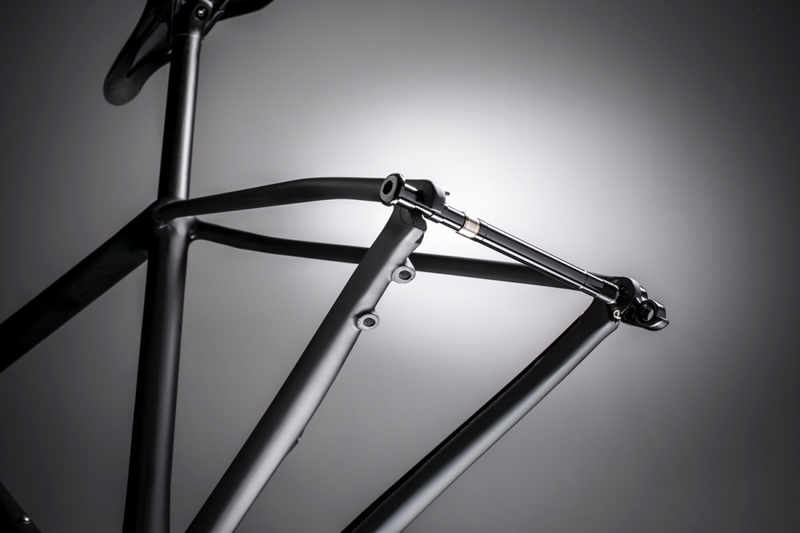 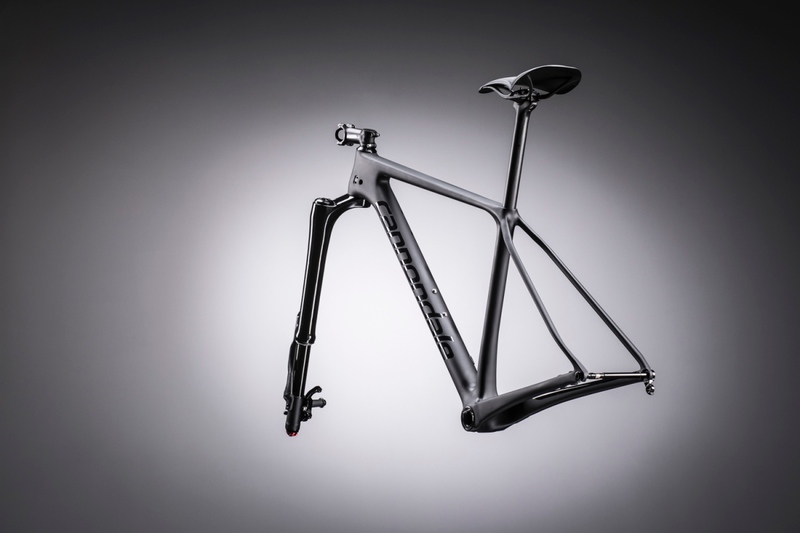 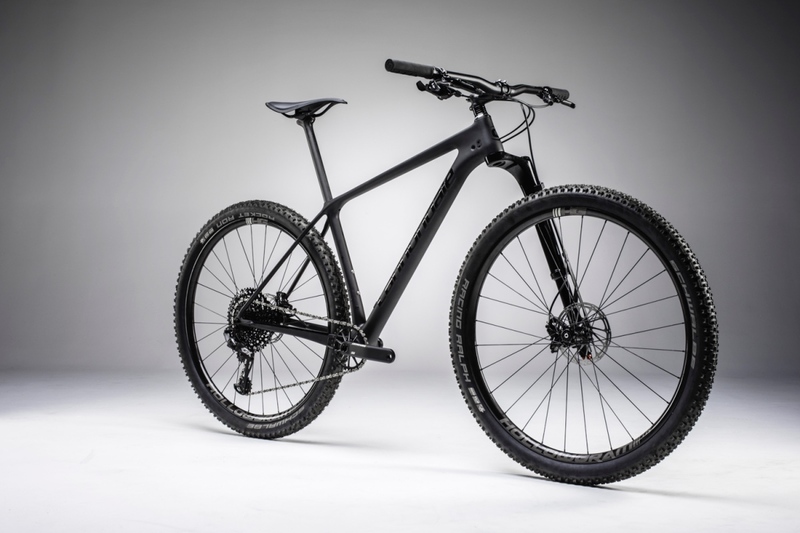 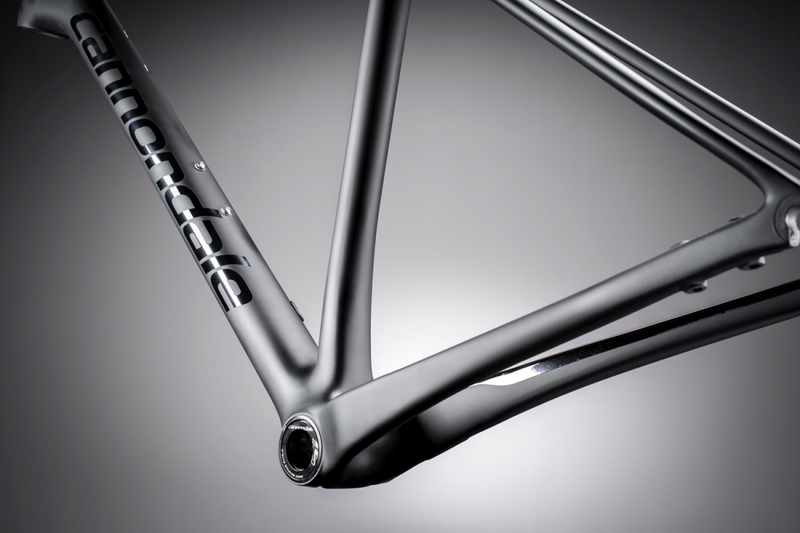 At just 900 grams, the F-Si Hi-MOD frame is 80 grams lighter than its predecessor, and is the lightest mountain bike frame Cannondale has ever made. Its updated Ai offset drivetrain delivers super short 427mm chainstays for more climb-winning traction and agility, and clearance for full 2.35” tires. 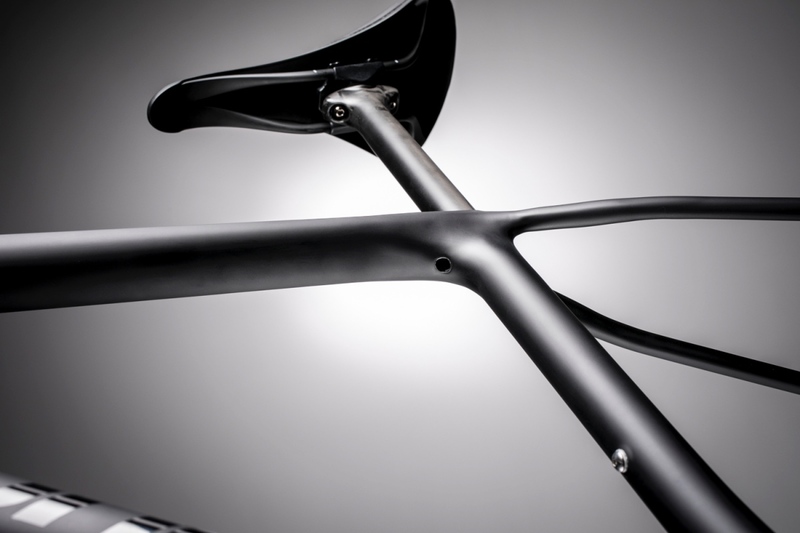 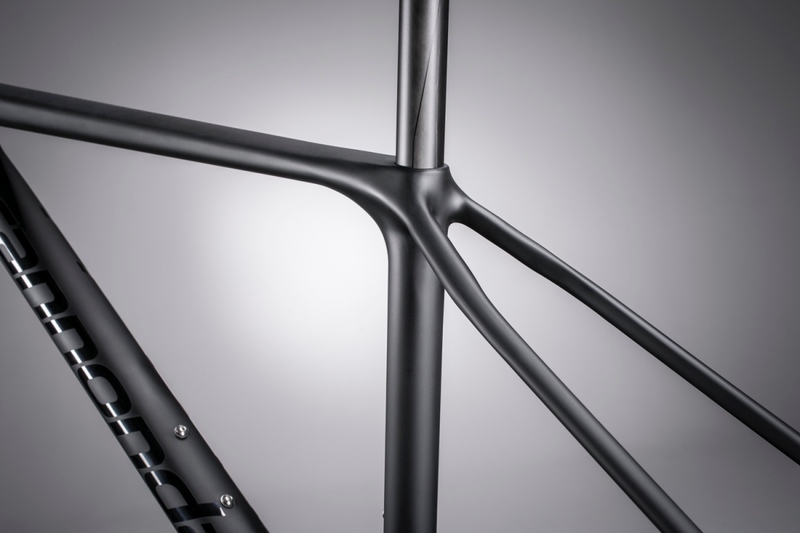 New race-tuned stiffness retains sprint-winning rigidity, but adds significant compliance throughout the frame for reduced fatigue and better control. 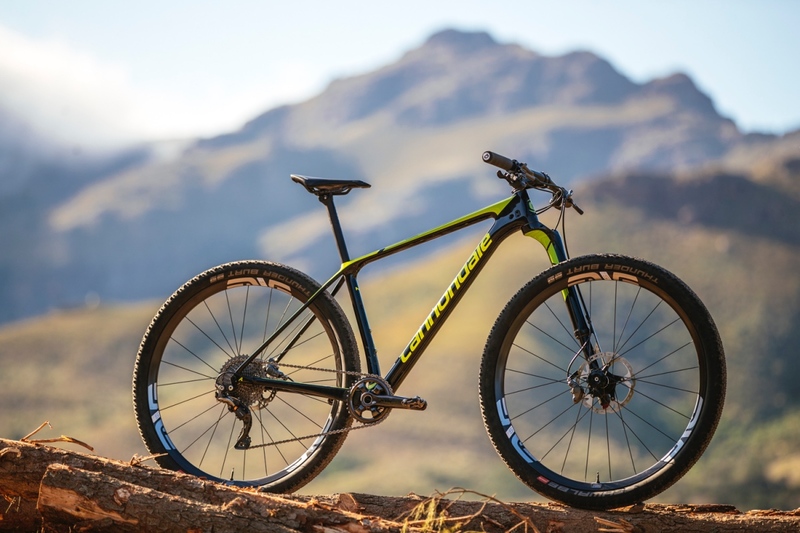 And an even slacker 69° head angle, combined with Lefty’s extra-long fork offset, creates a version of Cannondale’s OutFront geometry with even more descent-shredding abilities, while maintaining the nimble quickness needed for top-level XC racing. 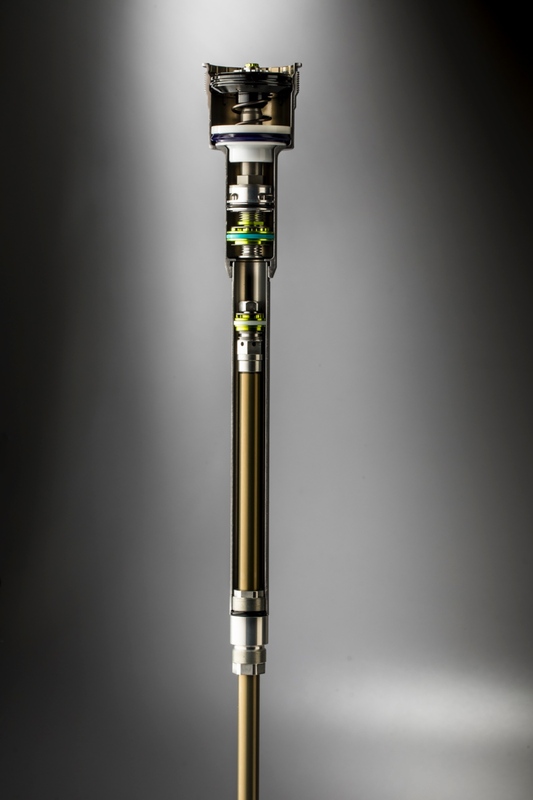 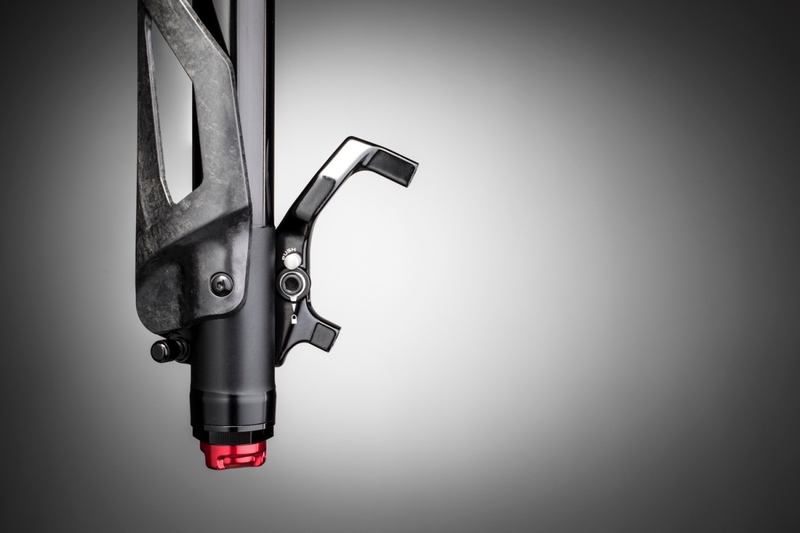 As for the new Lefty, it’s been more than 18 years since the first single-leg suspension fork showed the world what kind of performance was possible if you stopped worrying about what was impossible, and the new Lefty Ocho is poised to do it all over again. 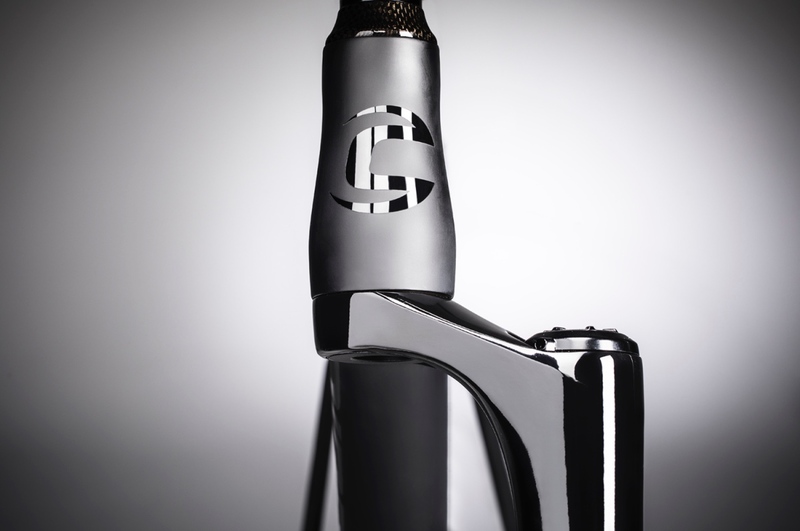 The seventh son of the original XC disruptor, Cannondale says it is the most advanced, smoothest, most precise-handling ultralight XC fork it’s ever made. 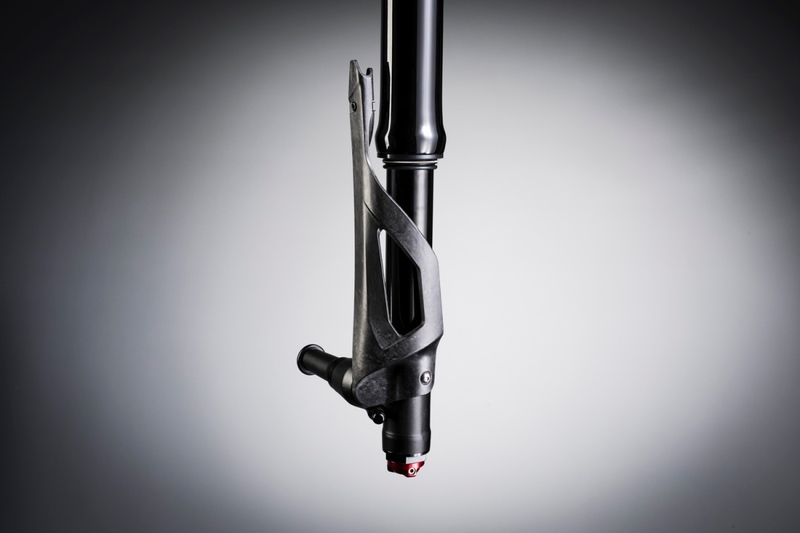 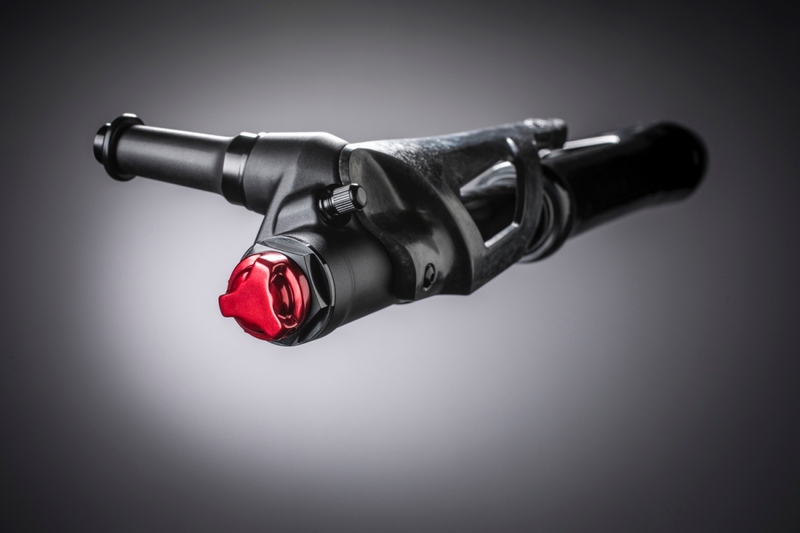 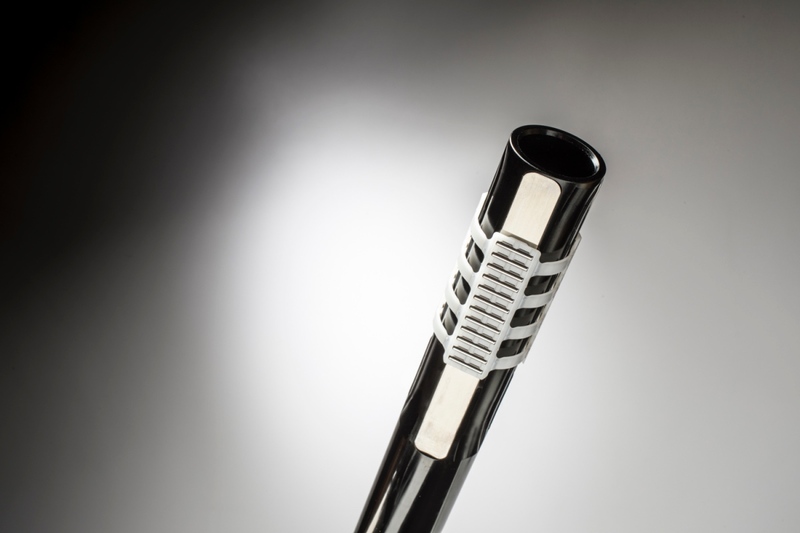 The new single-crown design shaves over 250 grams off the previous Lefty Carbon, making it one of the lightest suspension forks in the world, while still having impressive overall stiffness for an ultralight fork. 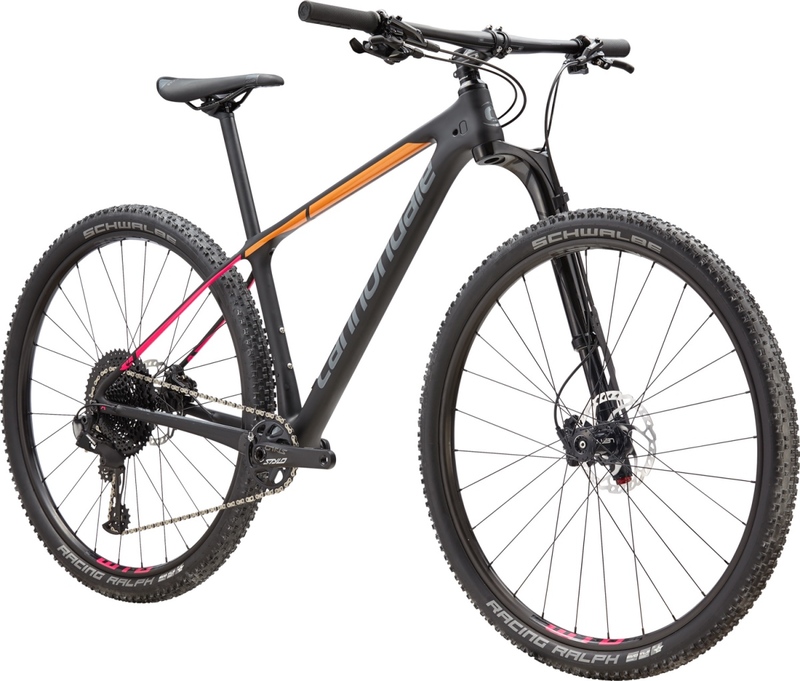 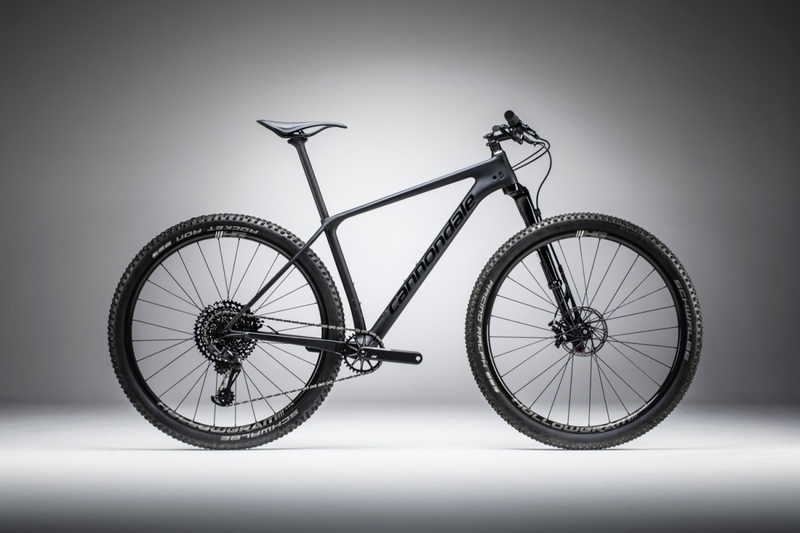 Its tailored rigidity offers robust stiffness where needed and give to flow with the trail. 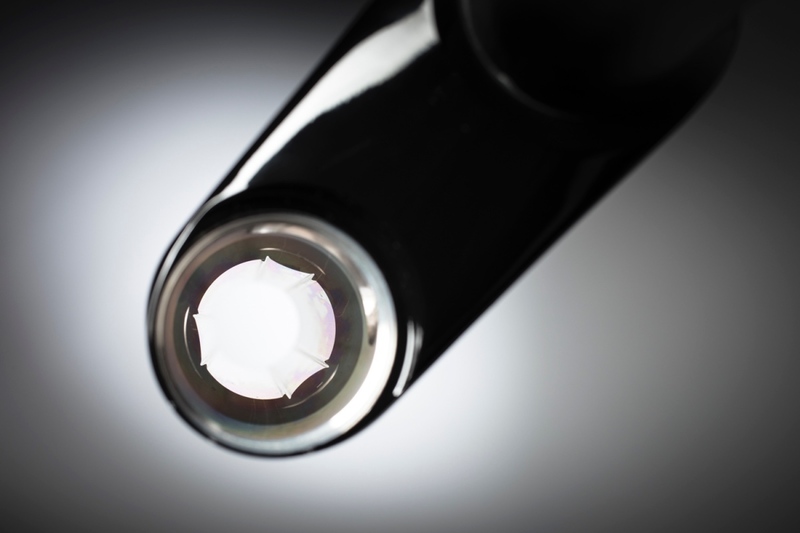 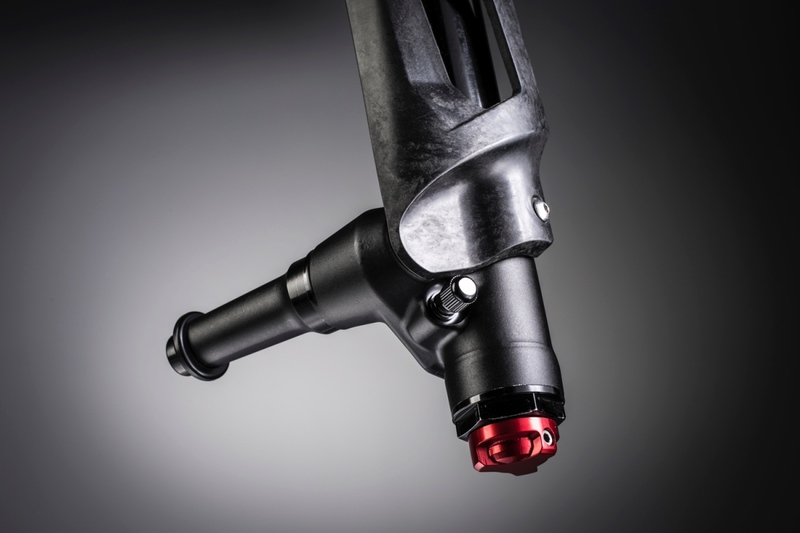 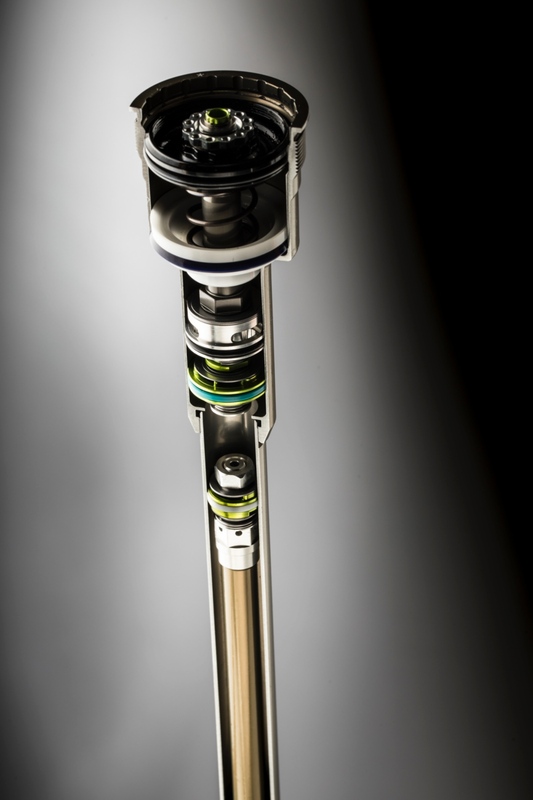 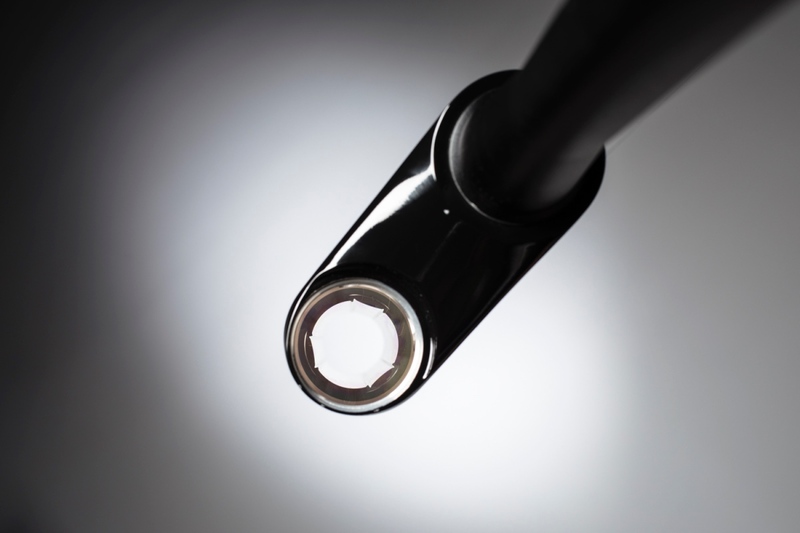 With its new, three-sided Delta Cage needle-bearing telescope, fewer friction-causing seals and bushings, and the supple new Chamber Damper, Ocho is buttery smooth. 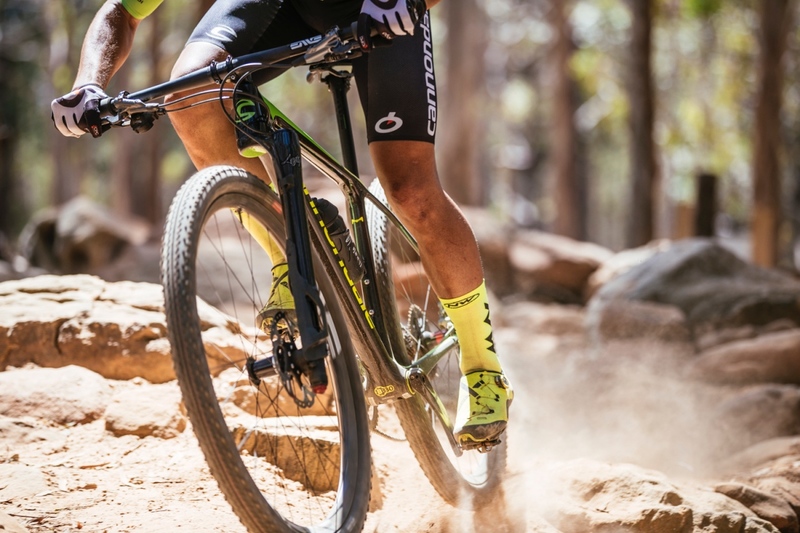 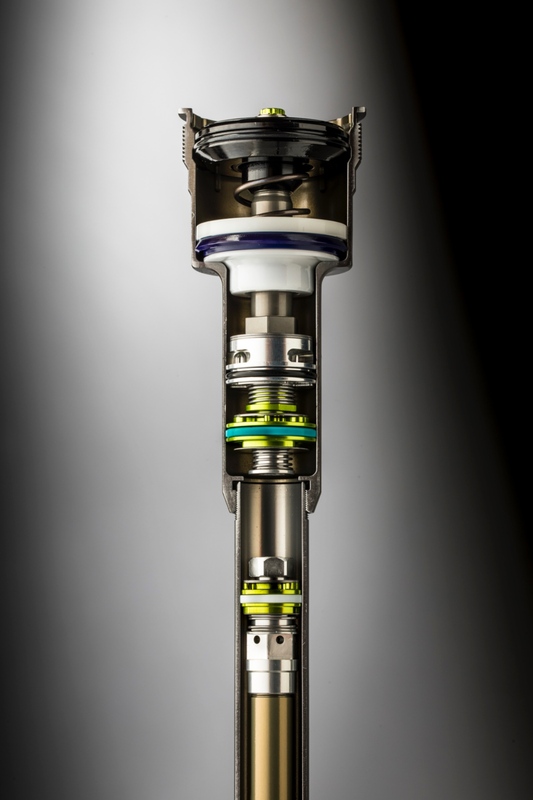 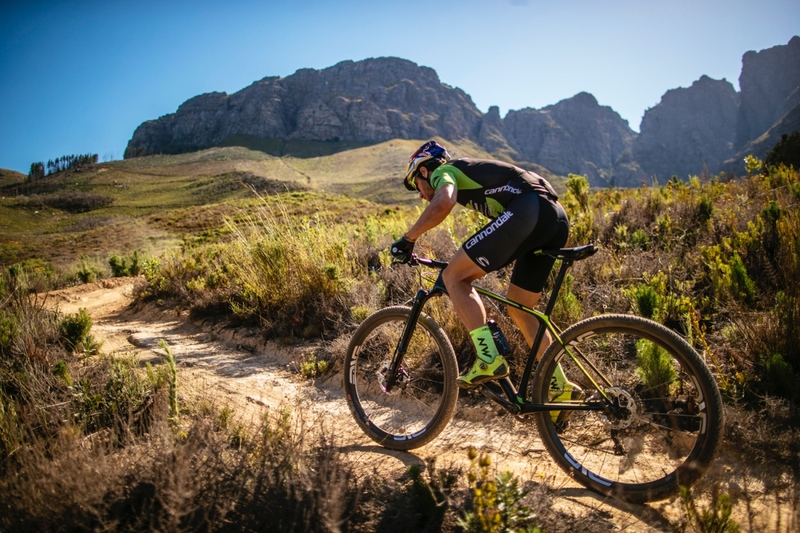 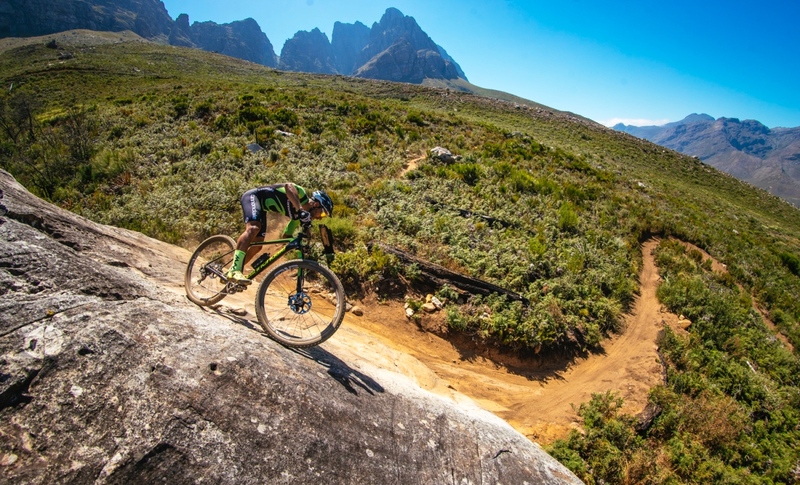 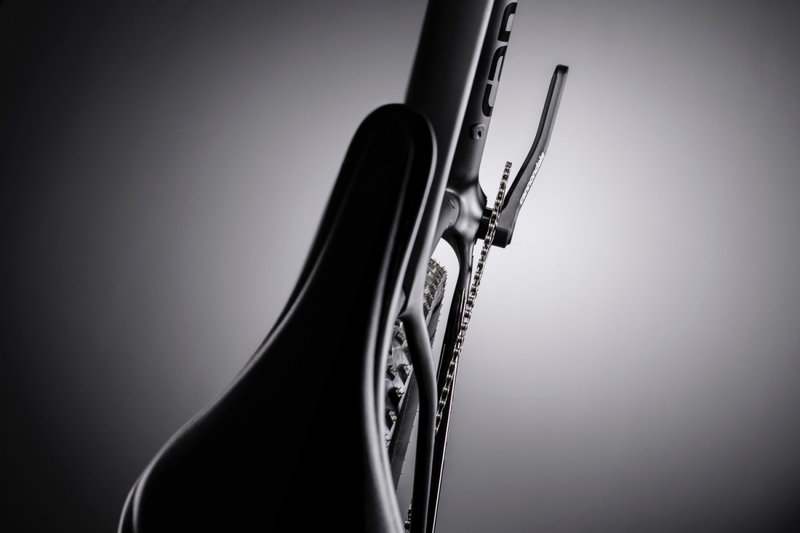 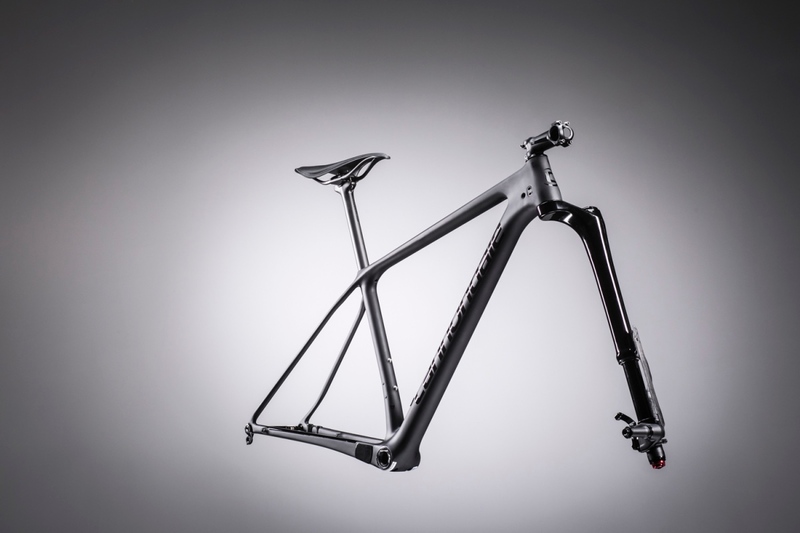 There’s no sticking, no binding, no shuddering or hesitation, claims Cannondale. It’s just pure, smooth suspension action, for superb control. 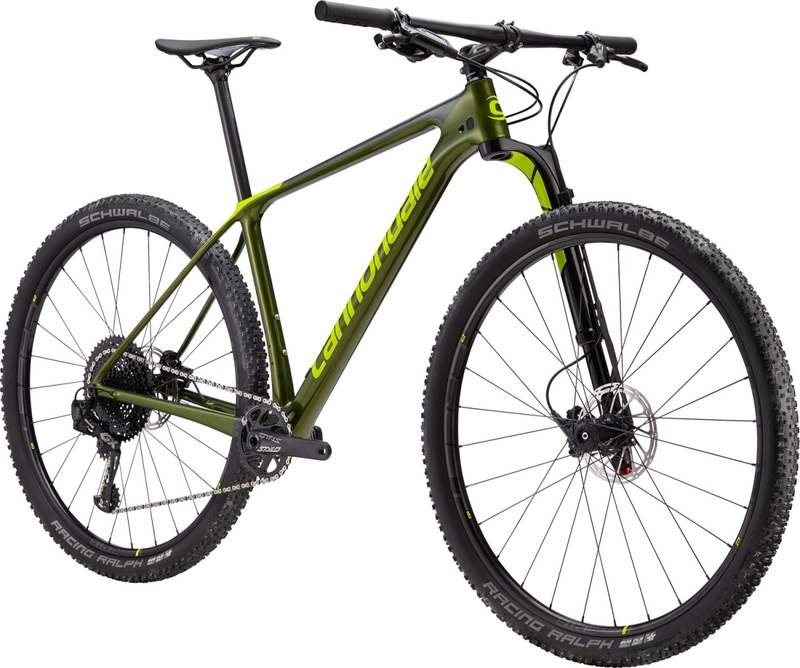 Available in carbon and alloy, Lefty Ocho will accommodate both 27.5 and 29-inch wheels and is available on the new Cannondale F-Si in 7 models ($2199 – $8999). 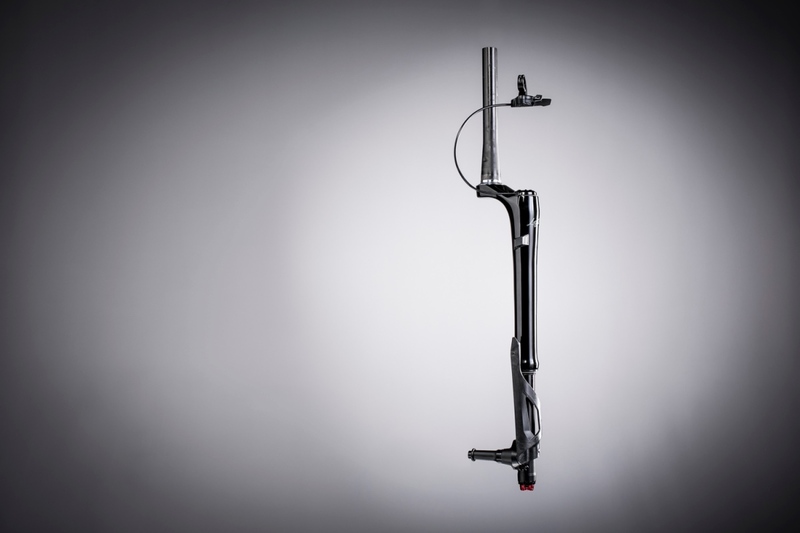 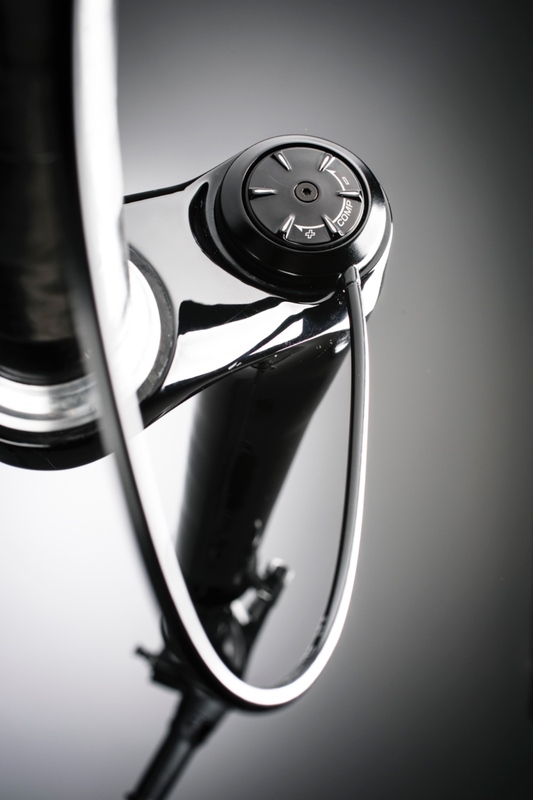 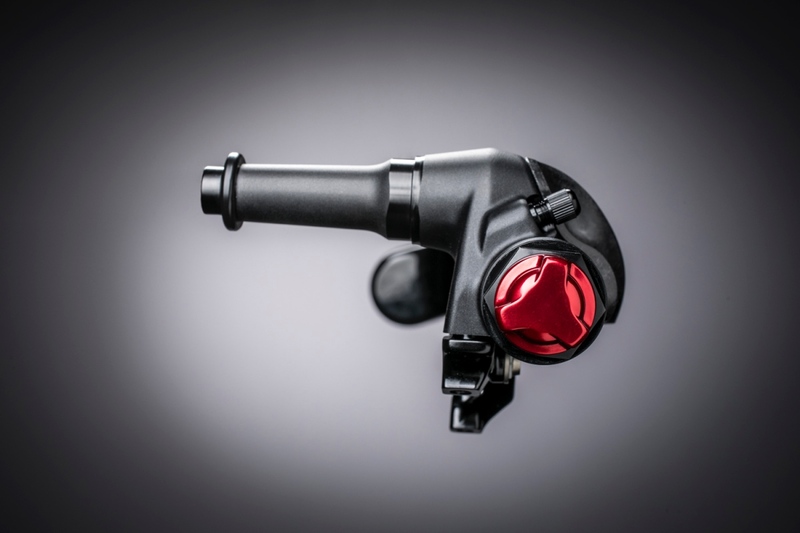 For more info on the new bike head here. 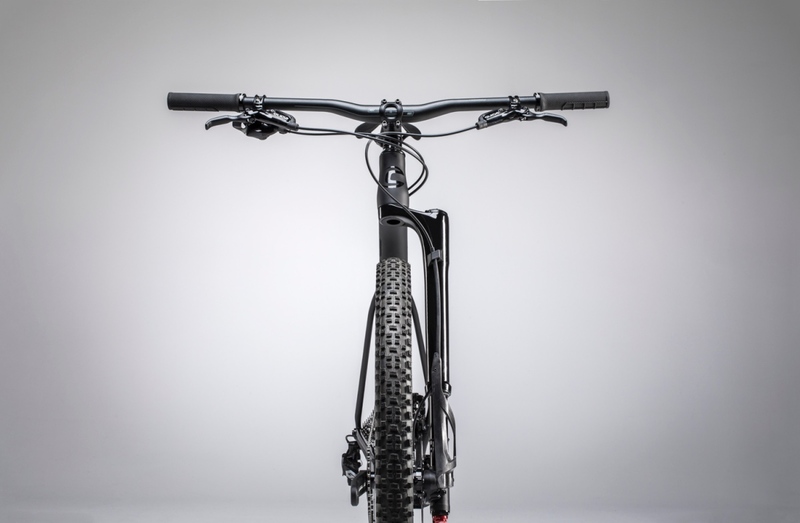 And get full beta on the fork here. 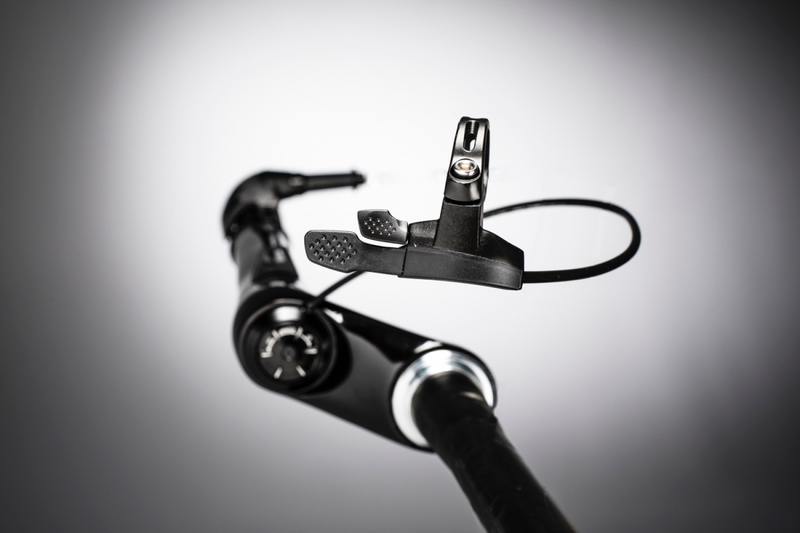 Bike in video has a Shimano rear derailleur. bikes in Cannondale web page and bikes in pictures have a Sram derailleur? 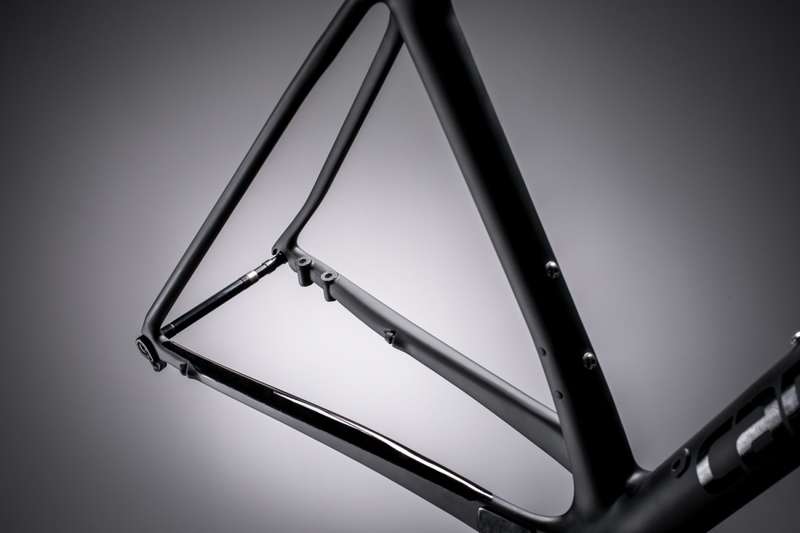 Sometimes for demos and commercials a frame will be built up from scratch with whatever is handy. Besides, it’s not uncommon for a manufacturer to utilize equivalent groupsets from different brands depending on price and availability. I.e. 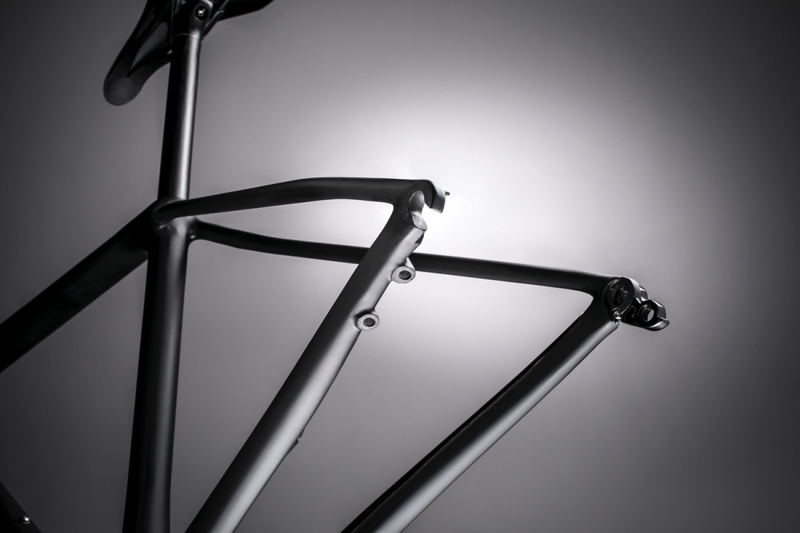 “Specifications subject to change.” It might of even been the rider’s own bike set up the way he likes it. 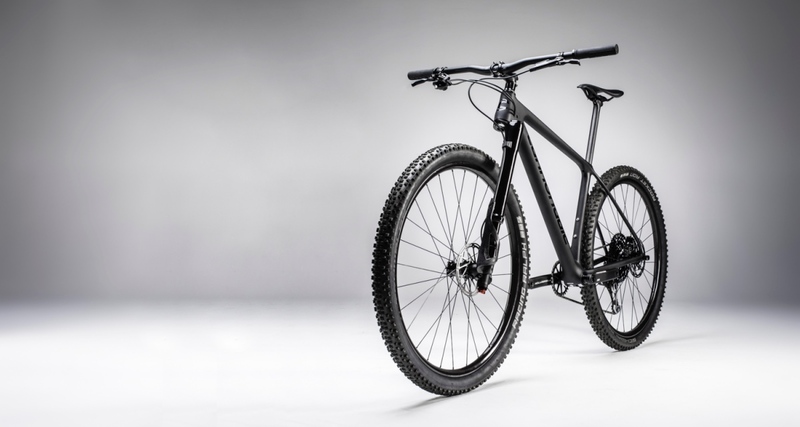 All that aside, the bike looks good but is the bottom bracket gonna creak like a mofo? It’s a carbon C-dale with a press fit BB. 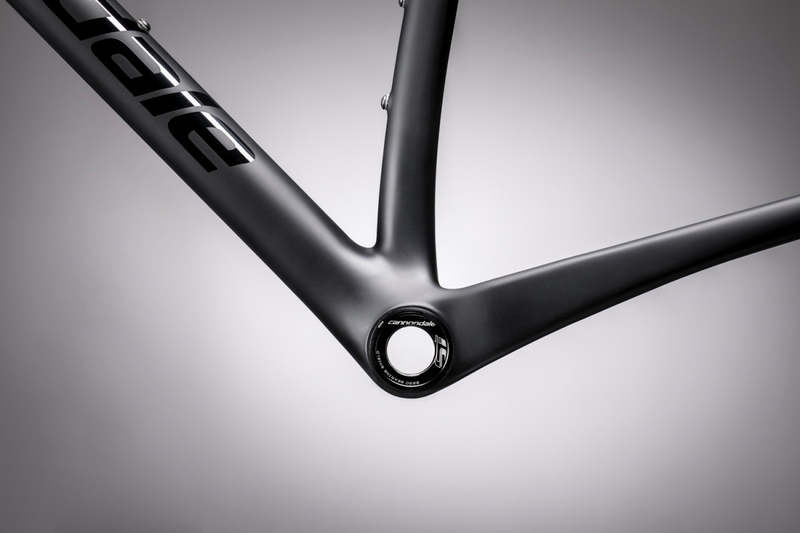 Of course it’s going to, silly.